A memory of the City’s past and an important landmark for Bath. 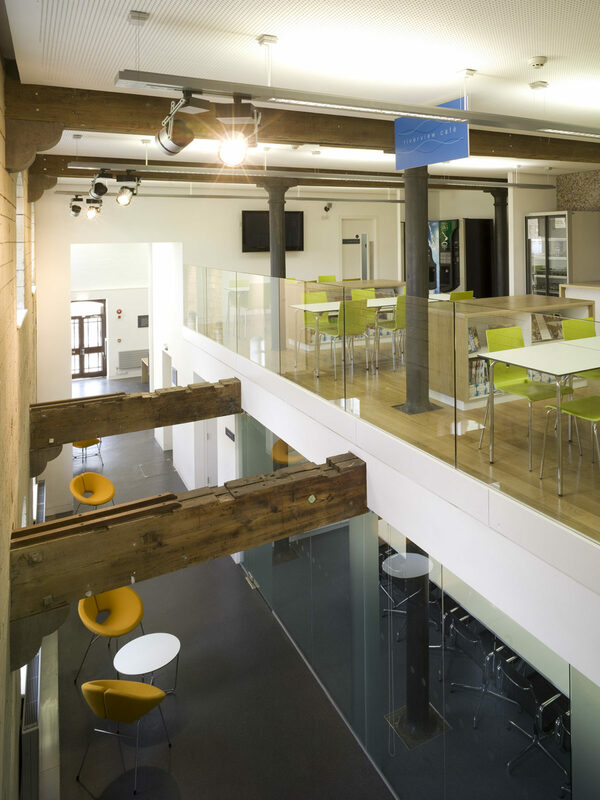 Following the successful interior design and delivery of Buro Happold’s two London offices and their Leeds office, Design Engine were invited to make proposals for their original head office in Camden Mill, Bath. 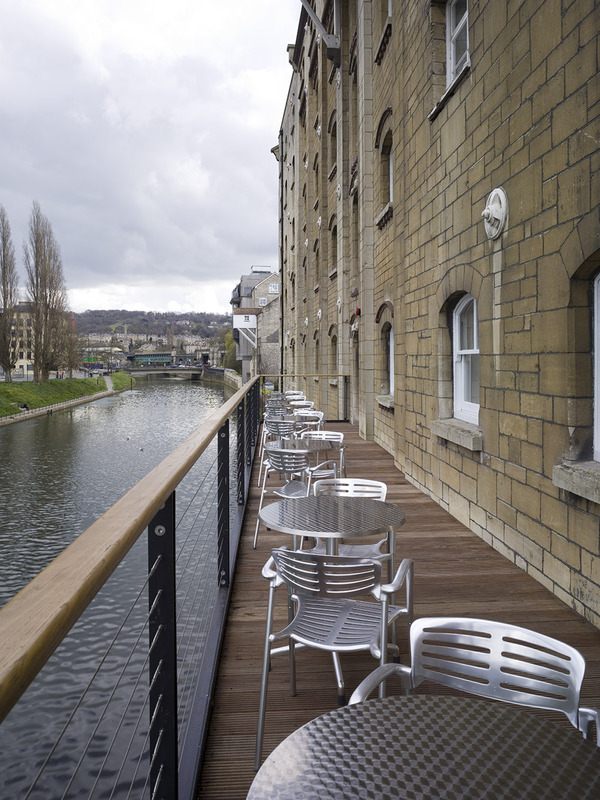 Set on the southern edge of the River Avon, the Grade 2 Listed mill represents a memory of the City’s past and is an important landmark for Bath. 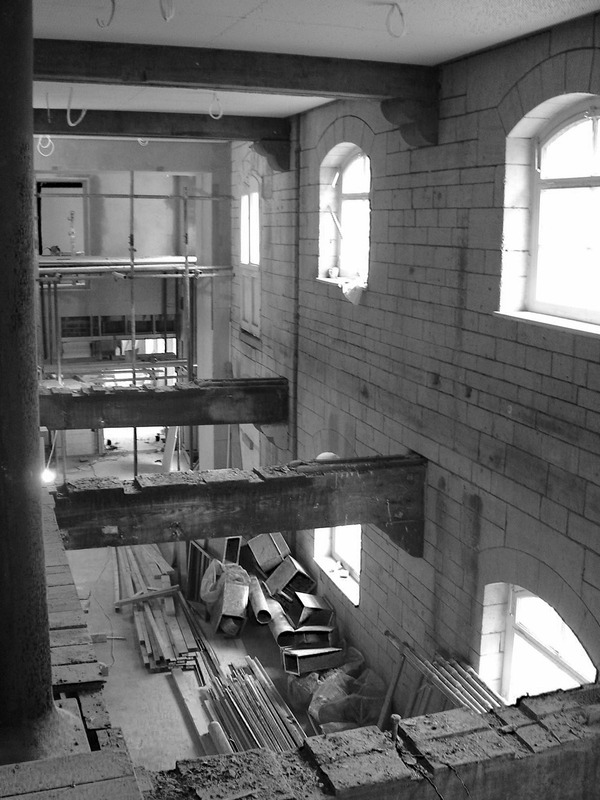 Our approach was to improve the connection of the working studios with the river and with the careful introduction of a double-height void along the northern side. 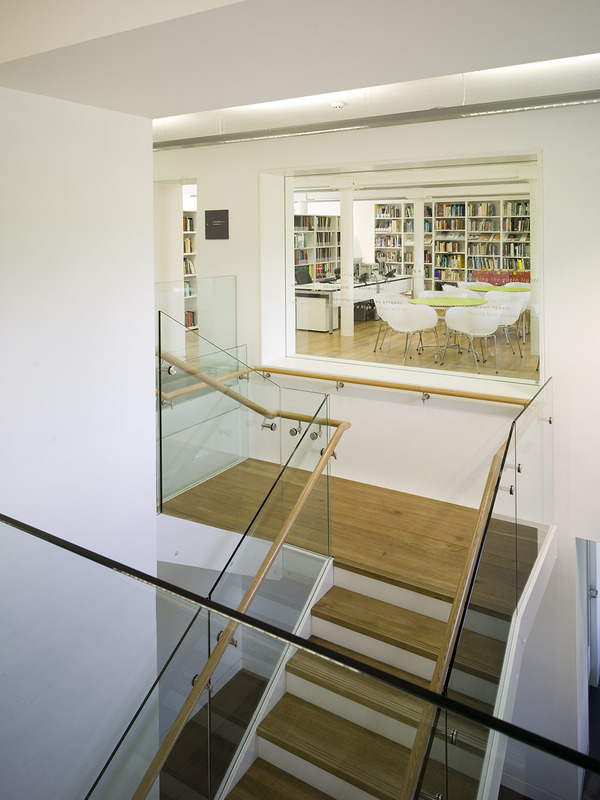 This opened up the previously dark and labyrinthine accommodation, with a new reception, café, knowledge centre and glass- fronted meeting rooms; all organised around the new internal two-storey ‘street’ and connected to a generous balcony over the river. 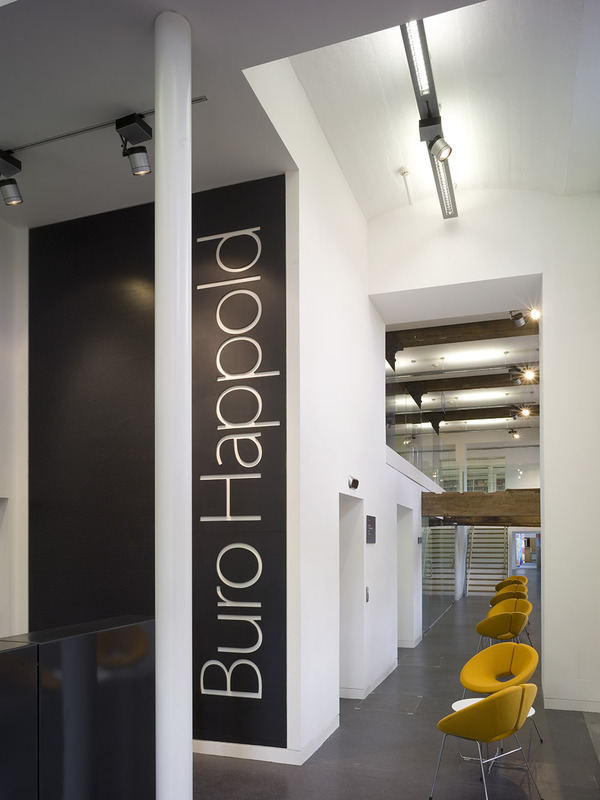 Buro Happold’s Bath office is located within a narrow 19th century wharf building overlooking the River Avon. This comprises two structures, Camden Mill to the east joining the Bayer Building to the west. The site is flanked to the north by the River Avon and to the south by the Lower Bristol Road. 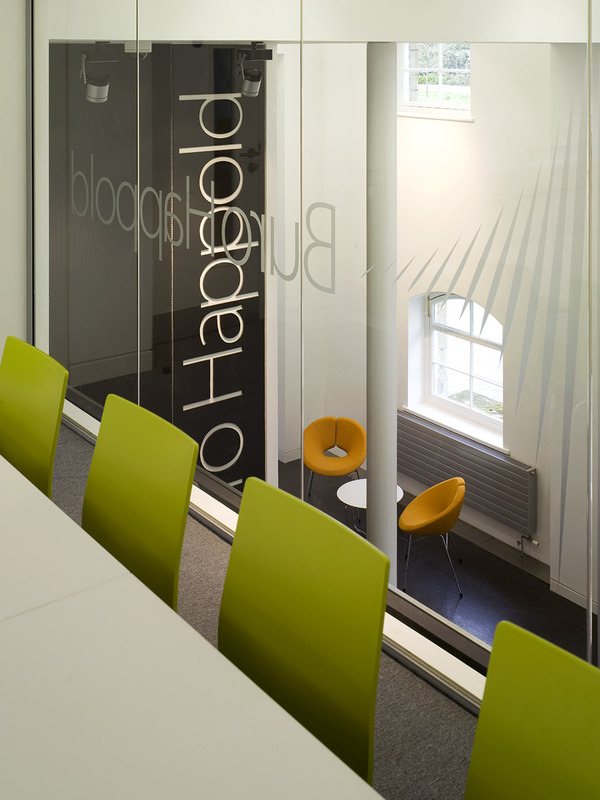 In recent years the firm has grown considerably with the Bath office doubling in headcount to 450, putting pressure on the existing internal space. 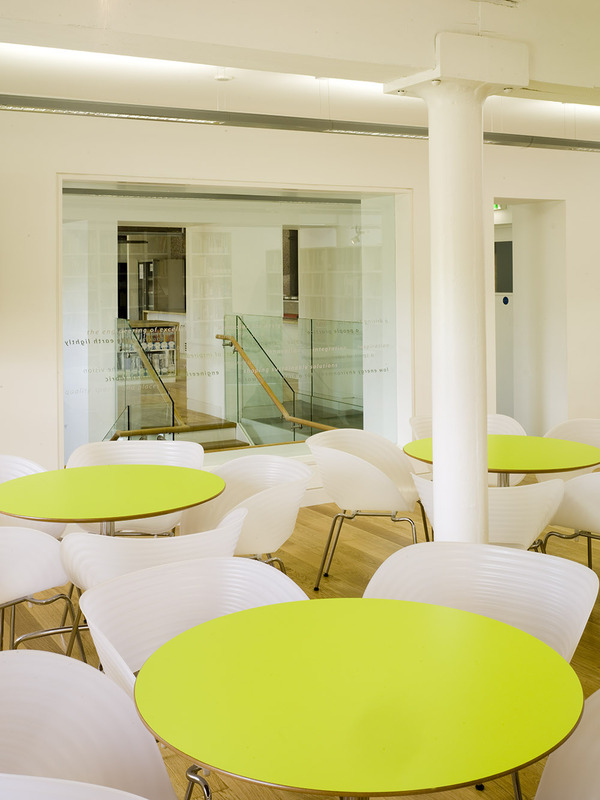 This, coupled with a desire to improve access to the building for disabled employees and visitors, resulted in plans to extensively modify the ground and first floors within the building. Before Design Engine were able to consider the interior spaces they had to solve the ambiguity of how the building is entered. Due to the constraints of this narrow site, all front and back of house facilities needed to be accessed via two existing entrances into the car park, situated to the east end of this 70m building. 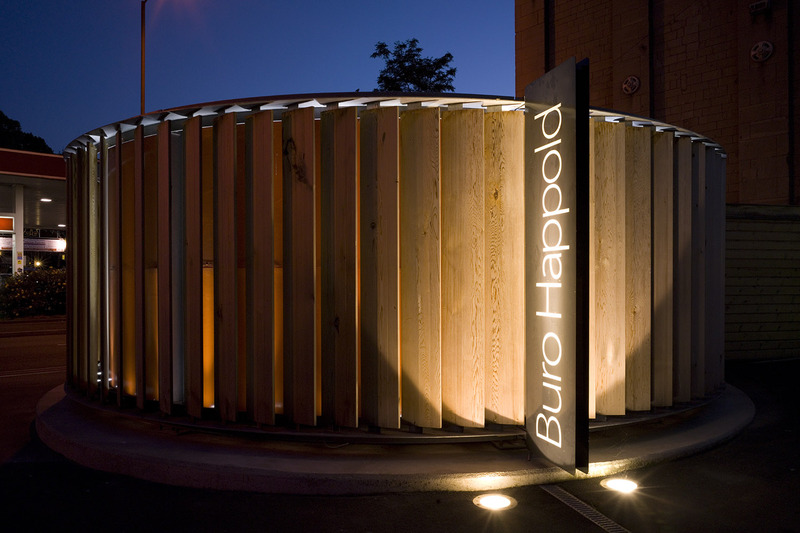 These entrances were also partially masked by an existing electrical substation. As the substation could not be economically re-located, Design Engine’s brief was to re-configure the entrance area to provide a clear route to reception around it, and provide a service access and yard area behind it. 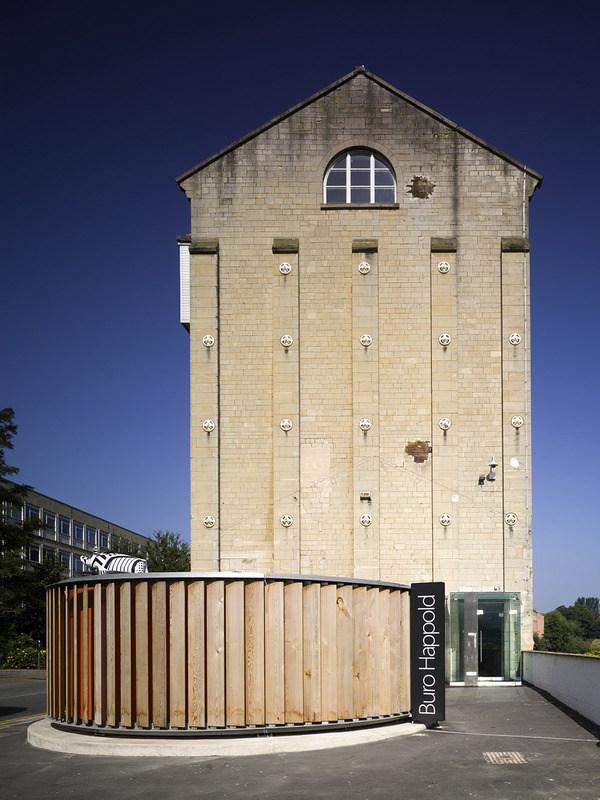 Design Engine’s solution was to re-clad the electrical substation with a circle of vertical timber fins, designed to mask the substation and orientate visitors around its perimeter, towards a new glass riverside entrance porch. LED lights wash an internal lining behind the louvres, revealing an illuminated surface between the blades. Through its geometry the circle also creates a discrete service entrance and yard to the rear. This yard controls and leads to the back of house spaces.